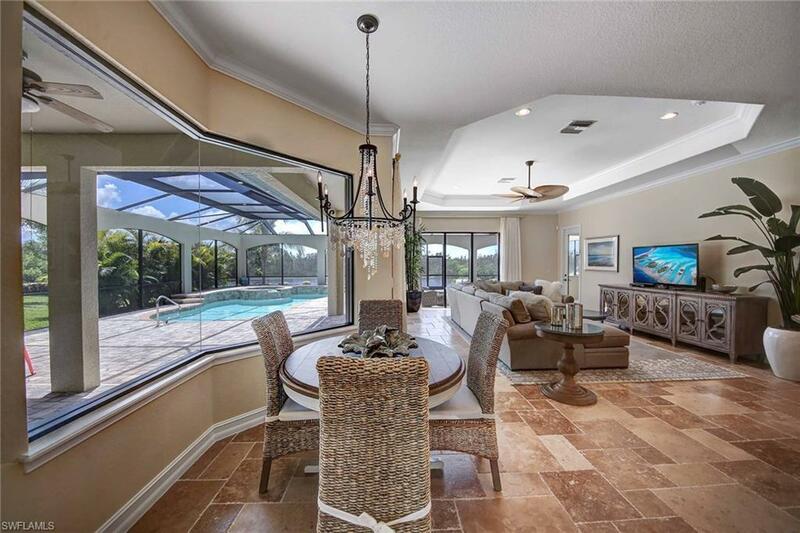 This is a stunning pool home located on the Creek side in Runaway Bay with access to boat ramp and private floating dock. 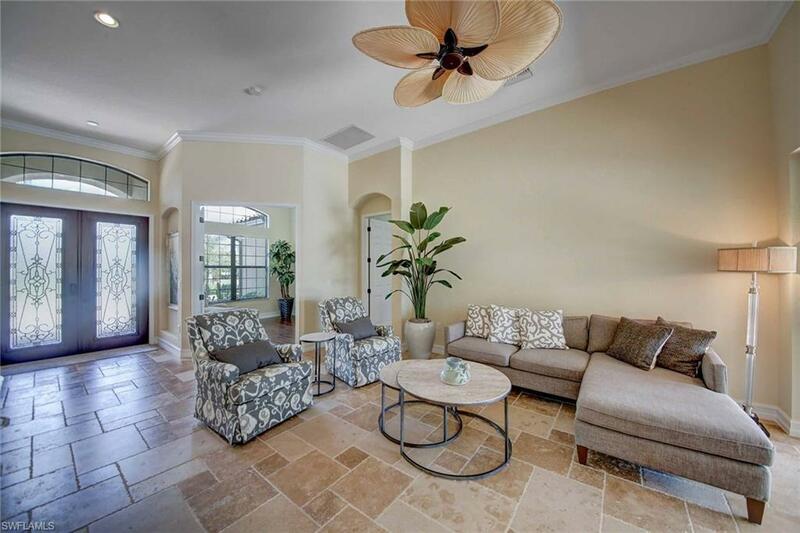 As you enter this Camellia floor plan home youll be amazed by the beautiful stone floor, open floor plan, spacious lanai and pool with water view, private walkway to your own dock with electric and water. 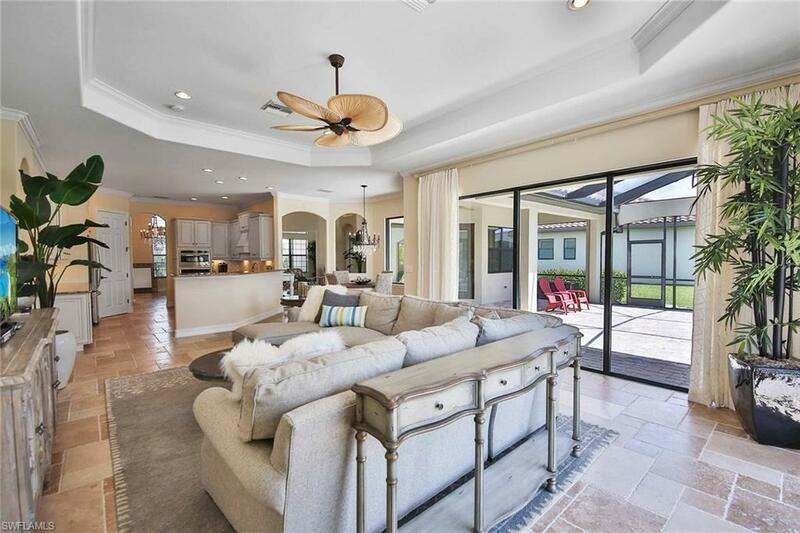 Tray ceilings and crown molding, granite counters and stainless appliances are just a few of the great features of this home. The master suite is private and accommodating, with access to lanai, two large walk-in closets, bath provides separate water closet, dual sinks, walk-in shower and bath. Pool bath and outdoor kitchen make for perfect entertaining with family and friends. Fiddlers Creek is a community with world-class amenities, some of which include a tennis program, multiple dining choices; casual and formal, attended fitness center with specialty classes and resort pool to name just a few. Walking and jogging paths with lighted sidewalks. Beach and golf memberships are available.